Iraq's prime minister has reacted to calls by al-Iraqiya coalition for the fugitive Vice President Tariq al-Hashemi tried on terror charges in the city of Kirkuk, Press TV reports. On 19 December, Iraq's Interior Ministry issued an arrest warrant for Hashemi after three of his bodyguards confessed to having taken orders from him to carry out terrorist attacks. Hashemi later fled to the Kurdistan region in the north and requested the hearing of his charges be held in the semi-autonomous territory. “Yesterday we heard that the al-Iraqiya bloc wants to transfer the trial of al-Hashemi to Kirkuk and we view this as a serious threat to the independence of the juridical system,” Maliki said during an exclusive interview with Press TV on Thursday. The Iraqi leader, who has already demanded that President of the Kurdistan Regional Government Massoud Barzani and Iraqi President Jalal Talabani hand Hashemi over to the Iraqi judiciary, said it would be up to the judges to decide on Hashemi's charges and where he should stand trial. “We can't have a credible system if we let the politicians interfere. Baghdad is the appropriate trial location in this case,” he stated. Maliki has also addressed the presence of the Mojahedin-e Khalq Organization (MKO) terrorists in Camp Ashraf, in Iraq's eastern province of Diyala. “We will no longer tolerate the presence of the MKO on Iraqi soil. This is an internationally sanctioned terror organization. It has not only carried out assassinations against political and religious personalities in Iran but it also has a bloody record in Iraq,” he explained. Maliki said the terrorist group committed “brutal crimes inside Iraq” as part of the intelligence apparatus in the hands of the former Ba'ath regime of Saddam Hussein, and that Baghdad has issued 120 arrest warrants for MKO operatives inside Camp Ashraf. “The Iraqi constitution prohibits harboring terror organizations which threaten the stability of neighboring countries,” he underscored. With regard to Camp Ashraf, Al-Maliki says "it is a breach of Iraq's sovereignty. It is an organization accused of terrorism and it is classified by the United States, European countries, and Western states as a terrorist organization. Its presence is not in line with our constitution, which forbids the presence of any terrorist organization inside Iraq, or even an organization that is not a terrorist one but harms the security of another state." Al-Maliki further adds: "Along with this organization, there is the Kurdistan Workers' Party [PKK], and the Party of Free Life in Kurdistan [PJAK]. We reject the use of Iraq as a platform for harming the interests of others or for exploiting terrorist organizations." Al-Maliki then says: "The Mojahedin e-Khalq Organization [MKO] is occupying a city in Iraq, not a camp as it is reported in the media. The Iraqi Government is not permitted to enter this city or to know what is happening inside it." Al-Maliki goes on to say: "We ask some European states why they support them, and, if this falls under the context of a regional conflict, Iraq rejects being a part of any regional conflict." He adds: "That is why we have decided to order the departure of this organization, and we have given them the end of the year as a deadline." With regard to the UN Secretary General Ban Ki-moon's request for a six-month extension of the deadline for the departure of MKO from Iraq, starting from November, Al-Maliki said: "We will consider that, but we demand that half of them leave within the deadline, and we will grant the other half the six-month deadline. The United Nations agreed." Al-Maliki adds: "The United Nations thanked us, but, when they brought it up with the MKO, they barricaded themselves, poured fuel into ditches to light fires, and set up checkpoints as if they were an independent state." Al-Maliki then says: "We left the matter for the United Nations. We do not want to hand those people over to Iran, or to kill, oppress, or starve them; but their illegal presence must end." Government-sponsored Al-Iraqiyah Satellite Television in Arabic at 1002 gmt on 21 December interrupts its regular programming to carry live a press conference by Prime Minister Nuri al-Maliki in Baghdad. Al-Maliki begins by saying that "Iraq is going through a new stage," adding: "The foreign forces left the Iraqi territories and handed over everything. The Iraqi security forces took over the whole responsibility. This is a victorious restoration of the national sovereignty and willpower. Today, Iraq is healing and joining its Arab and regional environment as a state that has its own views, decisions, and understanding of the region and its impacts. Iraq is a partner in the joint work that aims to protect the region and maintain its security." Al-Maliki adds: "All the efforts are intensively and extensively being concentrated to continue the process of building the Iraqi institutions, reconstructing Iraq, and optimally investing the Iraqi wealth, which was impeded by the adventures, wars, as well as the internal and external instability. The Iraqi people suffered much and they continued to suffer even after the end of the dictatorship, which wreaked havoc and spread corruption." Al-Maliki says that his visit to the United States concentrated on "activating the Strategic Framework Agreement as it serves the interests of Iraq, prepares the grounds for commercial exchange with a large country, and benefits Iraq in terms of industrial, agricultural, educational, scientific, and higher educational experts and capacities. We had a meeting with the joint higher committee here in Baghdad and another meeting with the joint higher committee in the United States." Al-Maliki goes on to say: "We need to maintain security in Iraq in a constant manner. We should give the security special attention and keep it away from politicization. Iraq's security is not a subject of negotiations with any party, whether internal or external. The security is independent so is the judiciary." Al-Maliki adds: "We need to achieve stability as the political stability leads to security stability." Al-Maliki says: "We will not interfere in any country's internal affairs and we will not allow anyone to interfere in our internal affairs. We will seek friendly relations, cooperation, and common visions, but we reject [any interference] or anyone who wants to be an extension for an external will. We will not accept any Iraqi partner that represents the will of another country. Yes, we wish that our partner would have friendly relations that he utilizes for the best interest of Iraq. This is good. However, becoming a mouthpiece for this [foreign] will is unacceptable. Iraq is seeking friends and the best Iraqi citizens are those who can utilize their friendships in the building of the state but not for creating a hole in the wall of sovereignty and independence of decision-making." Al-Maliki adds: "I am very optimistic. We have gone a long way and nobody believed that we would. No-one believed that we would be able to hold a meeting with our brother journalists, like we are now, that we would celebrate the withdrawal, or that we would secure the pilgrims to the holy shrines, who amount to millions. All this was planned and accomplished by Iraqi hands." Al-Maliki notes that people wondered about the security and political situation in the country following the US withdrawal, saying that "the US forces were not in charge of security" and that "they were not involved at any level", adding that "Iraq is in charge of all these issues, not just now but since the signing of the agreement." Al-Maliki says that Iraq can only "rise and step up so as to stand on firm ground for reconstruction and confront challenges" by forsaking arguments over "my share and your share, alliances here and there, spoiled opinions versus suppressed opinions, and good or bad ethnicities," noting that "we should decide that these issues are over based on the agreement reached yesterday at the [Iraqi] cabinet, which is responsible for planning and sketching the general policies of the state as stipulated by the constitution." Al-Maliki says that "the constitution stipulates that the cabinet is responsible for sketching and laying out the general policy of the state and that the primary direct executive is the prime minister," adding that "the cabinet decided to invite all the blocs, which won in the elections and are part of the parliament, and the blocs that were not so lucky," noting that "they are partners and they cast votes during ballots," and that "they may replace those who sit on the parliament chairs." Al-Maliki says that they also invite the ministers and the three presidencies to this meeting in which "we will present these facts, duties, and responsibilities" provided that "everyone should shoulder his responsibility." Al-Maliki then expresses his gratitude for "all the initiatives, which participated in creating stability," but notes that "we do not want initiatives to pile up and contradict each other" because "we now have five initiatives," and this should be "the cabinet' responsibility since it is the primary executive and the one responsible for planning and laying out the state's policy." Al-Maliki further says: "We will call for this meeting and present these responsibilities, but we will stop at one point. We shall present it and should our partners help us with it, we will survive and so will they; and we will build and so will they. God willing, they will not have any other choice but to resort to the constitution alone." Al-Maliki goes on to say that the constitution should be the "judge" about "disagreements" over many issues, such as "the disputed areas, the south, oil, and security," which "we could not resolve by alliances due to differences in concepts and planning." Al-Maliki goes on to say that "disputes over the constitution" should be resolved through the Supreme Judicial Court and the Independent Higher Electoral Commission, IHEC, adding that "there are not any more chances." Al-Maliki says: "We thank all alliances, initiatives, and those who participated in them. We evaluate their efforts but the upcoming phase needs more clarity and seriousness. This phase needs clarity, seriousness, abidance, and undisputable references. No-one should say that he does not accept the constitution. Why did you vote according to it or participated in a government under the mantel of the constitution? Based on this, we will place the line that separates those who believe in the state and its constitution and those who do not want to. He is free to do so. Anyone can say what they want about the constitution. I am not saying that the constitution is complete. It includes many issues but abiding by it is better than having no constitution. Regardless of its inherent issues, we abide by it because it is better for stability. Nevertheless, the rejection of the constitution is rebellion against the vow and the will of the people, putting aside logic and realism. There are not any solutions for problems - you witnessed that - without resorting to the constitution." Al-Maliki then notes that "even initiatives, whether domestic or international, should be governed by the constitution." Al-Maliki says that Iraq made an initiative for Syria that complies with the constitution, noting that "nobody can intervene in any foreign issues under the title of Iraq without abiding by the constitution, which placed the cabinet in charge." Al-Maliki concludes by saying that this issue should not be considered "diminishing" because the other political partners are present in "the National Assembly, the cabinet, and the judiciary," noting that the judiciary "is not politicized and can neither be pressured nor slandered." He adds: "I do not say that the judicial authority is perfect, but it was our partner in enforcing security in Iraq and in the establishment of a state." He adds: "We should separate the security cases that start and end with the judicial authorities and the political and legal cases. The constitution is the one that separates these cases and between the authorities." Al-Maliki further says: "Perhaps one of the most important responsibilities of the presidency is monitoring the implementation of the constitution." Al-Maliki concludes his speech by saying: "Every phase has its features, and those are our responsibilities for the upcoming phase." Al-Maliki then begins receiving questions from the press. When asked about the "alternative choices" that the Iraqi Government will seek in light of the current "disagreements," Al-Maliki says: "No party has any choice but to be part of the Iraqi state. If anyone decides not to be part of the state, then they are free to choose whatever they want. As a result, alternative solutions will emerge, like maybe resorting to a political majority government. This is not a shame. All the democratic countries across the world resort to a political majority [government]. The others [the ones that will not part of the government] will not be sidelined. They are present in the political process, the parliament, legislation, and supervision. We do not wish that this would happen." Al-Maliki adds: "We should abide by the constitution only." When asked about his reaction to Vice-President Tariq al-Hashimi's call on the Arab League to intervene and monitor the investigations into his case, Al-Maliki says that "the Arab League, the United Nations, or the whole world have nothing to do with such a criminal case." Al-Maliki adds: "It is a very simple criminal case that does not need all this uproar." He adds: "We do not welcome any intervention and we will not allow any party to intervene in the judicial authorities' affairs. We stress the necessity of keeping the judiciary an independent authority and not politicizing it. The judiciary should provide a fair trial and investigation, away from politicization, sectarianism, incitement, or attempt for revenge." When asked about his reaction to the claims that the confessions shown by the Interior Ministry are "fabricated", Al-Maliki says: "Before the confessions reached the media, some partners called, directly examined the investigations, and said that the results were indubitable and that the information was dangerous. No-one said that [the confessions] were fabricated but the defendant." Al-Maliki adds: "I do not want to defend any party, any defendant, or any prosecution. If anyone says that these accusations are fabricated, let them appear before the court and prove so." When asked about allegations that "the Iraqi security forces extracted confessions under duress", Al-Maliki says: "The evidence is in the hands of the judicial authorities and in the courts which decide whether [the confessions] were extracted under duress or under normal circumstances. What I learned is that one of the defendants expressed desire to talk to the media to reveal something that he feels guilty about. These claims might be true and might be wrong. The most important thing is that one has to appear before the courts to reveal whether these confessions were extracted under duress or under normal circumstances." The journalist asks: "Is it not the government responsibility not to broadcast these confessions before the arraignment?" Al-Maliki says: "The confessions were only made public by virtue of a judicial order," adding that "the revelation of these confessions was directly endorsed by the judicial authorities, and we do respect the judiciary's will. I did not allow the confessions to be made public unless after I had met with the judges and asked them if they would allow that." When asked about whether the security services and the judicial authorities have evidence against other political figures, Al-Maliki says: "Card shuffling is one of the ways that some adopt to escape. As for us, we never shuffle the cards. Our policy has been clear since the beginning." Al-Maliki adds: "We have never remained silent over any violation. We have not remained silent over these violations and we warned those who committed them. Three years ago, I presented a file that contained signed confessions to the presidency committee and to late Sayyid Abd-al-Aziz al-Hakim, may he rest in peace, about the violations committed by the vice-president. I was patient, just for the sake of preserving the political process. Let me be honest with you. I have much to say. I hope that the others stop killing and wreaking havoc at least, or else all the files will be out and will be presented to the judicial authorities so that the latter have their say." When asked if Al-Hashimi's case "will be open for deals and bargains or whether justice will take its course," and "whether predictions of Al-Hashimi's escape from Iraq, just as his peers Adnan al-Dulaymi and Harith al-Dari did before him will come true," Al-Maliki says: "The case is a criminal case and one of bloodshed and deaths. Neither I, the others, nor the families of the martyrs will permit the case to be politicized nor to be subjected to compromises." He adds: "There is but one path that leads to the goal, which is the judicial authority. He stands before trial, and he either clears his name or gets convicted." On his call for resorting to the constitution, Al-Maliki says that he believes that "whoever is angered by abiding by the constitution does not have a place in the political process," because the members of the government "stood in front of TV cameras, raised their hands, and swore on this constitution," adding that those who do not recognize the constitution should announce their opinion but they "do not have the right to be angry about it," noting that "any political partner does not have the right to say that the constitution is corrupt." Al-Maliki goes on to say that this constitution is "binding" until it is changed and that "whoever feels angry or discontent is against the political process and that means he recants his commitment and invalidates his oath." On his meeting with Exxon Mobil officials, Al-Maliki says that he briefly met with the company's manager during his visit to Washington DC and that the manager promised to revise the issue. On the arrest warrant issued for Vice-President Tariq al-Hashimi, Al-Maliki calls on the Kurdistan Region [officials] to "shoulder their responsibility" by handing Al-Hashimi to justice, "especially since they are well informed of the case," noting that "allowing him to escape would cause trouble." Al-Maliki further says: "We do not want the Kurdistan Regional Government to appear as if it has facilitated the escape of a wanted person and I am only stating here that he is wanted. We will not allow this to be dragged to politics. This is purely judicial and that is it." Al-Maliki then notes that a judge said: "If the arrest warrant is not served, the police officer in charge will be arrested." On US forces in Iraq following the pull-out, Al-Maliki says that "there are not any US soldier on the Iraqi soil, not even one," and that "there are only a number of trainers, who replaced NATO trainers for police forces and they amount to 100 personnel," adding that the US trainers are 700 in total and that this number may decrease. A-Maliki goes on to say that "these trainers are civilians" and that they are working under contracts with the Iraqi Government. Al-Maliki says that news reports "exaggerate" the number of the US Embassy's employees, who range between "1,500 to 2,000 employees," noting that these employees will require "visas and residency permits" which will provide detailed information about the number of employees and their jobs. Al-Maliki also says that the number of the embassy staff depends on Iraq's "requirements since Iraq asked the embassy to provide specialists in agriculture and other fields to help Iraq. On Al-Iraqiyah List's threat to suspend the attendance of its ministers to cabinet meetings, Al-Maliki notes that the cabinet's bylaws do not recognize the term suspension of attendance, saying that "a minister cannot suspend his attendance; it will be considered a resignation, because one of his duties is to attend cabinet meetings." Al-Maliki goes on to say: "Thus, if the ministers do not change their stance in the next cabinet meeting, we will legitimately look for other ministers to replace them. It is worth noting that the ministers boycotting the meetings are only four. This will not have any effect, even if they were 10. This will not affect the cabinet. This also will not be effective in the parliament. If the other powers mobilized and attended, they can maintain the work of the parliament. However, this would not please us. We want to see our brothers of Al-Iraqiyah List at the cabinet and the National Assembly." On Al-Iraqiyah List's claims of being marginalized, Al-Maliki says that "partnership should be implemented within institutions," noting that "there is not any defect in the entitlements of this list but it is rather a case of giving up their powers." Al-Maliki goes on to say that the Iraqi judiciary will decide whether to hold the trial of Al-Hashimi in the Kurdistan Region or not. On the upcoming elections, Al-Maliki says: "We should seek to follow the constitution and the political majority rather than sectarian or ethnic majority. The upcoming elections will be carried out on this basis. I am among those who call for a majority government not a partnership one because there is stability and the present concept of partnership is a process of shackling, limiting, and exhausting the government." On the Iraqi initiative for Syria, Al-Maliki says that Iraq's location and its vulnerability to the repercussions of the situation in Syria prompted it to seek a resolution for the situation, adding that Syria accepted the Arab League's protocol as a result of the Iraqi Delegation's positive meeting with President Bashar al-Asad. Asked whether he believes that Al-Hashimi will have a fair trial following the pretrial publicity, Al-Maliki says that the government will not allow anyone to "politicize" Al-Hashimi's trial. Al-Maliki denies that Al-Hashimi's house was searched, saying that only his room at the regiment was searched. Asked about the abundance of statements by the State of Law Coalition, SLC, particularly the Prime Minister's statements on the problem with Vice-President Tariq al-Hashimi, "as if the issue has become a political conflict between the SLC and the Al-Iraqiyah List," Al-Maliki says: "I hope you would be fair. The other party is the one that set this situation ablaze. They are the ones who talked about it, politicized it, accused the judicial and security authorities, and accused the prime minister." Al-Maliki says "The SLC did not interfere. I will not allow anyone to interfere. However, the nature of our issues in Iraq is that they quickly move among the judicial, security, and political authorities then to the media, which is always happy to find someone talking." When a request is made for his comment on the GCC support for Kuwait in the Port Mubarak issue, Al-Maliki says: "I was hoping that the GCC states would be ready to enter as a mediator to resolve this crisis, not to support one side at the other's expense." He adds: "The issue is between us and Kuwait. I hope we can resolve it between us, not to get camps taking sides in this issue." Al-Maliki further says: "I believe the Kuwaiti side will proceed towards resolving this matter in a bilateral manner as per our talks with them, not through involving others." When told that the freedom of expression is one of the fundamentals of democracy and questioned on the withdrawal of confidence from his deputy, Al-Maliki says: "It seems the lady does not distinguish between speaking according to one's given rights and becoming a disruptive element in the political process." He adds: "The statements themselves are shameful when coming from a partner in the government; and yet there are also other practices that harm the national power sharing. The issue is not one of statements. Everyone sees statements that exceed the bounds of decency daily; but the deputy prime minister is in a position of authority." Asked if, in the confessions made by members of Vice-President Tariq al-Hashimi's protection detail that were not aired, there were names or other information on figures within the Green Zone who could be targeted, Al-Maliki says: "Please excuse me. I will only speak of that which was published. The rest will remain undisclosed, because this is a security case, and it does not deserve to be published on the pages of newspapers and aired on television." Al-Maliki adds: "We work with the information available to us. However, the other schemes and plans for toppling the authorities are there, because the arrests that were made were due to intelligence information on schemes to topple the authorities." Al-Maliki further says: "We do not want to blow this issue out of proportion and politicize it. We welcome the development of relations with our brothers in the Al-Iraqiyah List, but this case is a criminal case, and the judicial authorities are the ones responsible for handling it." Regarding the GCC call upon Iraq to state its regional policy, Al-Maliki says: "The statement was positive. I understood that they wanted to know Iraq's regional policy in order to turn over a new leaf, and we have no objections. Our policy is clear. Our policies on international relations, bilateral relations, and the Arab League are clear. We are with the Arab League, we support their decisions. We also support the Organization of the Islamic Conference, OIC, and bilateral relations. We do not interfere in anyone's affairs and we do not want anyone to interfere in ours. We wish to help as much as we can, and if anyone refuses our help we thank them and return to our country." Al-Maliki adds: "We want an open Iraq that prospers with several international relations." On reports about his threat to resign if confidence is not withdrawn from Deputy Prime Minister Salih al-Mutlaq, Al-Maliki says: "The reports are completely false. I do not need to do that. A simple open vacation will solve the problem." Asked what the third component's [Kurdistan Alliance] reaction will be if Iraq decides to choose parliament members through a political majority vote and if the United States will interfere in the matter, Al-Maliki says: "No country will ever interfere in Iraq from this day on. If any state wishes to interject as a friend it will come and offer us an opinion, and we are free to accept or refuse it." Al-Maliki adds: "If they constitute a political majority then they are welcome to form a government." He adds: "The same is happening in the US government, one time it is a party ruling the US Congress, then the other rules it. That is how things are." Al-Maliki further adds: "Governments tend to resort to political partnership under extraordinary circumstances, such as those we witnessed in Iraq. However, Iraq is recuperating, and that is why we must pursue the democratic course of action, and that dictates a political majority vote. That is the peaceful transition of power." Regarding the mechanism for the implementation of the political majority vote in Iraq, and if, should the majority government be formed, he will extend a hand of peace to the Al-Iraqiyah List, Al-Maliki says: "I did not say we will proceed with the political majority government. I said that, if we fail to resolve the crises and problems through the constitution, we will pursue that course of action." Al-Maliki adds: "If the political majority government is formed, then anyone who accepts the political majority, from any party, bloc, or list, is welcome [to participate]." He further adds: "The Al-Iraqiyah List contains people who respect Iraq and are patriotic. They could also be partners in the political majority government." In response to a question on the information mentioned in the confessions of Al-Hashimi's protection detail members regarding terrorist operations carried out by them and they were discovered years ago, why were they not made public then and revealed when the US withdrawal has completed, Al-Maliki says: "I stated that we had the information beforehand in the case file, but we focused on healing the rift, bridging the gap, and bringing the people together." He adds: "The problem is not here. The problem is that those people continued their actions. That is what changed the equation." Al-Maliki further adds: "There will be further information, including information regarding the murder of the martyr, [former] National Security Chief Abu-Ghalib al-Asadi, God rest his soul, and his wife. They are the ones who killed him. The case is ongoing, that is why we made the decision to pursue them." Al-Maliki continues: "The case escalated quickly as I was in the United States." Asked about the reason for stopping to pay the fees to the Kurdistan Region in exchange for the oil being extracted from the region, Al-Maliki says: "I do not know if they stopped the payments or if the other party is adhering to exporting the required amounts. The matter is up to the finance and oil ministries." "Ba'th Party is like Germany's Nazi regime"
Asked for a timeline of events in the last few days, especially in regards to "what comes across as attempts to consolidate power in a new Iraq," Al-Maliki says: "I have previously said that the Iraqi Government has been responsible for security since 2008. We have carried out pursuits, investigations, and arrests, and the US presence has nothing to do with this. This is an Iraqi internal matter." Al-Maliki adds: "The arrest of Ba'thists occurred while there were US soldiers on Iraqi lands." Al-Maliki further says: "The Ba'th Party in Iraq is like the Nazi regime in Germany, which is why we arrested them while the Americans were here. Their arrest was not political. We took the evidence and headed to the judicial authorities, proving to them that those individuals were attempting to topple the regime." Al-Maliki also said: "The Ba'th Party leader's statement was clear when he told his people to prepare, gather, and be ready to topple the regime as soon as the US forces depart." Al-Maliki concludes by saying: "The case was brought before the judicial authorities; they made their decision; and that was it. Thank you." BAGHDAD (AP) — Under international pressure, the Iraqi government on Wednesday backed off its threat to close a refugee camp holding 3,400 Iranian exiles by the end of the month. Instead, Iraq said it will shut Camp Ashraf sometime in January and insisted that all its residents must leave the country by April. It promised not to deport anyone to Iran. A spokeswoman for the exiles responded positively to elements of the plan and insisted that the U.S. and U.N. guarantee their safety. The extension of the deadline raises the likelihood of a peaceful resolution to the standoff, heading off a possible bloodbath that many international observers have feared. The future of Camp Ashraf, home to exiles dedicated to the overthrow of the Iranian regime, has been a sticking point for Iraq's Shiite-led government, which counts Iran as an ally. 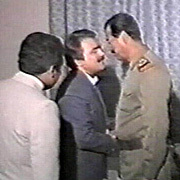 The armed People's Mujahedeen Organization of Iran first moved to the camp during the regime of Saddam Hussein, who saw the group as a convenient ally against Tehran. U.S. soldiers disarmed them during the invasion of Iraq in 2003. Prime Minister Nouri al-Maliki has been determined to close down the camp, located in barren terrain northeast of Baghdad about 50 miles from the Iranian border. His government considers the camp, which the exiles vigorously defend with a sophisticated public relations operation in the West, as an affront to Iraq's sovereignty. "We don't want to hand them over to Iran. We don't want to kill them. We don't want to oppress them and we don't want to starve them. But their presence in Iraq is illegal and illegitimate," al-Maliki said during a press conference Wednesday, three days after the last U.S. soldiers left the country. The Iraqi government had vowed to shut the camp completely by the end of December and move the residents to another location. That raised concerns that forcibly removing them would result in violence, and the United Nations has been trying to broker a deal. The U.N. has said that at least 34 people were killed in a raid on the camp by Iraqi security forces last April. On Wednesday, Iraqi spokesman Ali al-Dabbagh said the government had worked out a plan to move up to 800 of the residents to a new facility in Baghdad by the end of December. That facility is a former American military base called Camp Liberty. Al-Dabbagh said the rest of the residents would be relocated as soon as possible in January. Once they have all moved, Camp Ashraf would be closed. He said all the camp's residents would then be relocated outside of Iraq by no later than April. In a statement Wednesday, the head of the People's Mujahedeen Organization of Iran, Maryam Rajavi, welcomed a peaceful solution for Camp Ashraf. She said she has asked the Ashraf residents to relocate to Camp Liberty provided certain conditions are observed including U.S. and U.N. monitoring. Al-Dabbagh said the plan calls for camp residents who are citizens of non-Iranian countries to move there eventually. But most of the residents have only Iranian citizenship, so homes in other countries would have to be found for them as well. He said no one will be forcibly sent back to Iran and that they would be treated well at Camp Liberty. A U.S. State Department spokeswoman, Victoria Nuland, said Wednesday that the process of moving the residents to a new location and eventually resettling them would take time. "We're gratified to see that the Iraqi government is going to give it a little bit more time and that they're particularly cooperating well with the U.N. process," she said. For all the discussion over Camp Ashraf, little is known about the inside of the camp or its residents' day-to-day lives. The Iraqi government generally does not allow journalists to visit. The road to Camp Ashraf is heavily guarded with signs warning people against taking photographs. The Iraqi Army keeps people from getting too close, and all that's visible of the camp are towers from which troops monitor the inhabitants. The residents complain that they don't get proper medical treatment or enough fuel in the winter. And they accuse the Iraqi government of harassing them through hundreds of loudspeakers stationed around the camp, blaring insults and threats around the clock. Iraqi guards outside Camp Ashraf say it's the residents, not the security officials, who hurl insults with loudspeakers. They also contend that the residents regularly attack the soldiers with stones. The guards say the residents have regular access to medical care, and that the only items withheld are possible poisons and explosives. The guards did not want to be identified because they were not authorized to speak to the media. The U.S. State Department has said it does not know of any limits on food or water but that there were concerns over making sure the residents had enough fuel. Juhi reported from Sheik Shnaif Village near the camp. Associated Press writer Matthew Lee in Washington contributed to this report. With deadline looming to close MEK's Camp Ashraf in Iraq, what next? The fate of some 3,200 anti-Iran militants on the US terrorism list hang in the balance, as an end-of-year deadline looms to close Camp Ashraf in Iraq. American officials have expressed fears that the leadership of the Mojahedin-e Khalq (MEK/MKO) – which US government reports frequently describe as a cult – may order the massacre of their followers, rather than permit the peaceful disbandment of Camp Ashraf, which would deprive the MEK of one of its most powerful assets. But Maryam Rajavi, the MEK's self-styled "president elect" of Iran, said today the group accepted "in principle" a UN plan – if there were "minimum" US and Western guarantees of safety – to relocate members to a former US base near Baghdad airport for individual processing and possible resettlement as refugees. The Shiite-led government of Nouri al-Maliki, which has close ties to Iran, has made clear its determination to close the base set up by Saddam Hussein in the 1980s. 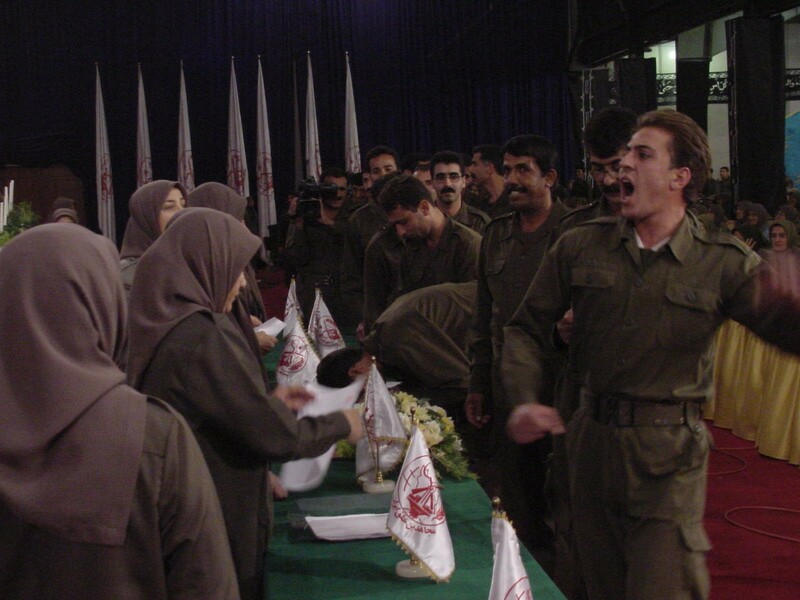 In Iran, the MEK are widely despised as traitors for fighting alongside Iraqi forces in the Iran-Iraq War. In Iraq, few also have sympathy for the group, which Mr. Hussein deployed to help crush a popular Kurdish uprising in 1991. "How shall we accept the killers of our sons?" asked Adnan al-Shamani, a Shiite lawmaker speaking at a recent government-sponsored conference in Baghdad to protest the MEK presence. The decision to close the camp was "supported by the majority of parliament and the majority of the Iraqi people," said Mr. Shamani. "No one has the right to impose their will on Iraqi land, except Iraqis." United Nations and US officials appear to have made some progress in talks with Mrs. Rajavi, who is based in Paris. Her husband and MEK leader Massoud Rajavi went into hiding in 2003, though several former Ashraf residents claim to have seen him at the camp as recently as 2007, and that he continued to address them by video link until seven months ago. "After much regrettable stalling, the MEK finally seems ready to engage seriously," a US official told the Inter-Press Service, a news agency, in Washington. The MEK has backed off from "maximalist positions" in recent days, the official said, but "we're still hearing talk about martyrdom and dying." The risks of violence are high, and come from both sides. Clashes erupted at Camp Ashraf in April, leaving 34 MEK members dead, when Iraqi forces took control of a portion of the sprawling site. 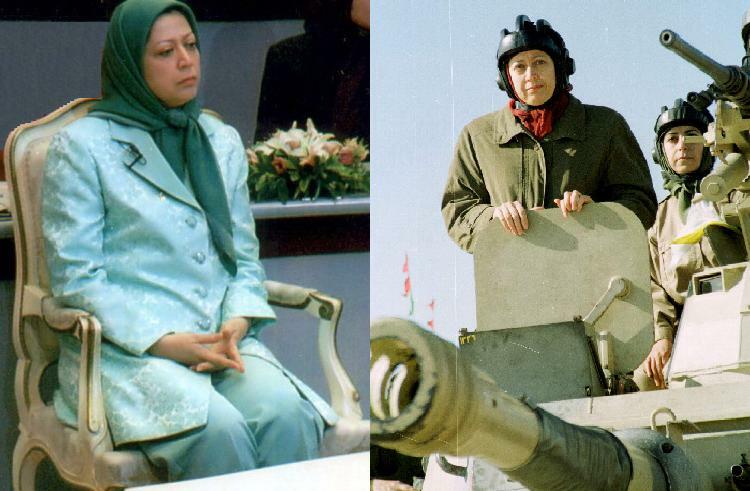 The MEK has a long anti-American history, and as a revolutionary group killed at least six US military advisers in Iran before the 1979 Islamic revolution. In the aftermath of the US invasion of Iraq in 2003, some Pentagon officials saw the MEK as a potential weapon against the Islamic Republic of Iran. Repeated calls by Iraqi officials since 2004 to disband the camp have until now been ignored. But with the complete withdrawal of US forces from Iraq this week, options for the MEK have narrowed. "From their first day in Iraq, [the MEK] accepted to be a tool of the intelligence and security of the former regime, especially against Iran," Saeed Al-Jayashi, a representive of Iraq's former National Security Adviser Mowaffak al-Rubaie, told the recent Baghdad meeting of Iraqi officials, tribal sheikhs, and Iranian families of those in Camp Ashraf. "Any terrorist group that wants to stay in the country is not looking for safe haven, but a base for terrorist attacks," said Mr. Jayashi. "Western societies talk about human rights; I ask them to save these people from unfair separation from their families, and the strange life in this camp." "How shall we talk to the Iraqi victims of this organization? We should stand in one line to deport them," he added. "Their choice is to go to Iran or choose another country; you can't stay in Iraq." Several such meetings, and a string of anti-MEK protests in Baghdad and at the Ashraf gate, project the same message. "No to an extension. Yes to deporting the terrorist group," reads one banner. Family members holding framed portraits wore bibs emblazoned on the back: "Free our children." Between speeches, one man wearing Iraqi tribal dress stood up and shouted: "These criminals are not from us! We have no connection with them." A male quartet took to the stage, with a song about MEK "hypocrites" causing thousands of deaths, who were "embracing each other over our bodies." Despite the MEK's status on the US terrorism list, which it shares with Al Qaeda and Hezbollah, the group says it renounced violence in 2001. But the US State Department in autumn 2009 submitted information in court that the MEK had trained women at Ashraf "to perform suicide attacks" in the Iraqi shrine city of Karbala. A declassified FBI report from 2004 similarly found – with data corroborated by French and German wiretaps – that MEK cells in the US, Europe, and Camp Ashraf were "actively ... planning and executing acts of terrorism." The MEK denies those charges, and has enlisted dozens of top-ranking former US officials and four-star generals – many of them paid tens of thousands of dollars in speakers fees – to make its case to get off the US terror list, and for protection of those at Camp Ashraf. They say Ashraf's residents are anti-regime "freedom fighters." Among the American advocates are former New York mayor Rudy Giuliani; former US homeland security chief Tom Ridge; former CIA directors James Woolsey, Porter Goss, and Michael Hayden; and top retired generals such as Wesley Clark, Hugh Shelton, and Peter Pace. "This is genocide, and we will not have it!" Howard Dean, the former chairman of the Democratic National Committee, told a pro-MEK audience in July, about Iraqi plans to close the camp. "We will free the people of Ashraf, and we will free the people of Iran from the tyranny of the mullahs." At the camp itself, MEK members long ago had their identity documents confiscated, and have little access to the outside world through phones, Internet, or TV. They must take part in self-criticism sessions to expel "deviant thoughts" and pledge "eternal divorce." A detailed 2009 report, funded by the US military and published by the RAND corporation, says that the majority at Camp Ashraf "may have been recruited through deception" and remain there "against their will. "Love for the Rajavis was to replace love for spouses and family," the report reads. MEK members once carried cyanide tablets in case of capture, and since 2003 "the MEK frequently used the threat of suicide as a negotiating tactic or to frustrate investigations." Mrs. Rajavi's temporary arrest by French authorities on terrorism charges in 2003 prompted a wave of self-immolations. Recent MEK defectors from the camp interviewed by the Monitor say further dramatic acts may take place, as the deadline nears. "It's clear to me, [Mr. Rajavi] wants people to get killed, and send it to the media," argues Shahram Heydari, who left the camp two months ago. When the April clashes took place with Iraqi troops, he claims, "I clearly saw they [MEK] were pushing people forward" into the line of fire. Rajavi's "strategy is based on Ashraf," says Mr. Heydari. "He must have the camp to keep power." Several defectors say they believe Rajavi is in the camp. A former member of the MEK leadership council, Maryam Sanjabi, defected 10 months ago after spending 24 years at Ashraf. She says she saw Mr. Rajavi "many times," up until four years go. "He's there, he's alive.... His orders are being carried out there – he is the brain," says Sanjabi. Years of brainwashing to make MEK members believe Rajavi "is a god," means the leadership may calculate it "doesn't matter if one thousand people die," she says. "If you are ordered to burn yourself, you can't resist: you burn yourself," says Sanjabi. BAGHDAD — Iraq will send a delegation to Syria to try to convince Damascus to implement an Iraqi initiative to end months of bloody conflict, Prime Minister Nuri al-Maliki told AFP in an exclusive interview. Maliki also said that oil giant ExxonMobil has promised to reconsider an exploration deal with Iraq's autonomous Kurdistan region that has angered Baghdad, and that a year-end deadline for closing an Iranian opposition exile camp in Iraq is final. "When I arrive in Baghdad, I will hold a meeting to prepare the plans to send a delegation to Syria in order to implement the Iraqi initiative," Maliki told AFP as he flew back to Iraq after a trip to Washington. The initiative is aimed at opening a dialogue between the opposition and the Syrian government to reach a result that satisfies both sides, he said. "America and Europe are afraid of the phase after (Syrian President) Bashar al-Assad. That is why they (the United States and Europe) understand the initiative" from Iraq, Maliki said. The United Nations this week estimated that more than 5,000 people have been killed in the Syrian government's crackdown on dissent, which enters its 10th month on Thursday. Baghdad has so far shied away from punitive measures against Assad's regime, abstaining from both a vote to suspend Syria from the Arab League, and another to impose sanctions against Syria. Maliki also said that Exxonmobil has agreed to reconsider its controversial oil exploration deal with the autonomous Kurdistan region in north Iraq. "We had a meeting with (Exxon) in Washington and we discussed the contracts, some of which are located in disputed areas," Maliki said. "They promised to reconsider their decision," he said. Kurdistan on October 18 inked a deal with ExxonMobil for it to explore six areas, but Baghdad regards any contracts not signed with the central government as invalid. An official with the Iraqi oil ministry has said that two of the areas -- Al-Qosh and Bardarash -- are actually parts of Nineveh province that Kurdistan wants to annex into its autonomous region, a move Baghdad opposes. The Kurdistan contract potentially puts an Exxon contract with the Iraqi government in jeopardy. Iraq's oil ministry completed the deal with ExxonMobil and Anglo-Dutch giant Shell in January 2010 to develop production at West Qurna-1, which with reserves of about 8.5 billion barrels is the country's second-biggest field. And Maliki also said that Iraq's decision to close Camp Ashraf, which is occupied by the opposition People's Mujahedeen Organisation of Iran (PMOI), is final. "The decision we made is irreversible," Maliki said. He said that a United Nations representative was not permitted to visit Camp Ashraf, and that the PMOI had also refused to implement a UN plan to shut down the camp, saying that this reinforced Iraq's decision. This "means that it (the PMOI) is a criminal gang, and we cannot allow a criminal gang to remain" in Iraq, Maliki said. The United Nations appealed to the Iraqi government on December 6 to push back the deadline to close the camp, located in Diyala province northwest of Baghdad, warning of a growing risk of violence. The positions of the residents and the government "remain far apart," the UN envoy to Iraq Martin Kobler told the Security Council, appealing to the international community to find new homes for the exiles. Camp Ashraf, which has become a mounting international problem, has been in the spotlight since a deadly April raid on the camp by Iraqi security forces. The camp was set up when Iraq and Iran were at war in the 1980s by the PMOI and later came under US control until January 2009, when US forces transferred security for the camp to Iraq. The PMOI has been on the US government terrorist list since 1997. We stand at the threshold of a monumental juncture in the Iraqi-American relationship. A great many sacrifices by the Iraqi and the American people have enabled Iraq to discard the squalid regime of Saddam Hussein and establish a free and democratic society. As American troops depart in accordance with the Troops Withdrawal Agreement of 2008, we begin a new chapter based, as President Obama noted, on “mutual interests and mutual respect.” The decision to implement the agreement came after negotiations held with respect for each side’s sovereign and political decisions. Solidifying a durable relationship between our two countries is vital. In the coming months, we must mutually focus on economic growth as well as culture, education and the sciences. Iraq has progressed to the stage of state building. We are building more than a million homes for low-income families, and I look forward to seeing construction cranes and high-rises dotting the Baghdad skyline. The struggle for reconstruction is no less daunting than the struggle for security. We are working to breach barriers that impede investment so this vision can become a reality. I am working diligently with our Investment Commission to ensure the rights of foreign investors and to create an environment conducive to investment. While we have strived to put Iraq’s new democracy on the right path, challenges remain. The political process and relationships between the various political parties continue to develop. Fundamental disputes still surround the political composition of the Iraqi state. I believe these can be solved by combining and expanding the powers of the provinces while adhering to the unity of the state. Disputes concerning our constitution need to be solved through political means. A solution to the debates surrounding hydrocarbon is paramount to Iraq’s economic growth. I have supported legislation, which has been sent to the Council of Representatives, that would regulate this vital industry and resources commensurate with national partnership and the equitable distribution of wealth. We held three rounds of bidding last year and are preparing for a fourth. The stability of Iraq after the withdrawal of American forces has been a major concern of both our nations. I believe in the capabilities of our security forces and in the necessity of U.S. assistance. There are still some who seek the destruction of our country. The Baath Party, which is prohibited by the constitution, believes in coups and conspiracies; indeed, these have been its modus operandi since the party’s inception. The Baathists seek to destroy Iraq’s democratic process. Hundreds of suspected Baathists recently were arrested; some of those detained have been released while others are awaiting trial. Those still in custody will receive due process and equitable treatment under Iraqi law. These detainees come from all over Iraq, and I refute characterizations that the detentions were a sectarian action based on political motives. These steps were taken to protect Iraq’s democracy. Another factor detrimental to Iraq’s stability has been the actions of foreign powers. Iraq is a sovereign country. Our foreign policy is rooted in the fact that we do not interfere in the affairs of other countries; accordingly, we oppose foreign interference in Iraqi affairs. Iraq does not aspire to unduly influence any state but looks to cooperate with all countries to help maintain regional security. Iraq will not allow itself to become a source of disruption to friendly countries. The residents of Camp Ashraf have caused a great deal of controversy here and in the United States. I would like to see this complex issue resolved peacefully and with the help of the United Nations. The camp’s residents are classified as a terrorist organization by many countries and thus have no legal basis to remain in Iraq. No country would accept the presence of foreign insurgents on its soil, but we will work hard to find a peaceful solution that upholds the international values of human rights. This year, the Arab Spring has brought a great deal of change to this region. Iraq rejects dictatorships and one-party governments. We hope that these movements succeed in bringing freedom and democracy to the millions who seek it and that the region achieves a newfound stability as a result. This is in the interests of not only our region but the entire world. Iraq has experienced terrible hardship over the past several decades. Today, however, I am confident about the future of my country and the capabilities and resilience of our people. We seek comprehensive redevelopment: the creation of legislation and institutions, the strengthening of freedoms, and the reinforcement of our democracy. We want to build a state of citizens and not sects. We want to create a healthy environment conducive to investment and provide vital services to citizens, including access to a proper education. Iraq seeks to build a strong army and security forces that have the capacity to protect our sovereignty and interests. We are able to do this with the help of the United States. The writer is prime minister of Iraq.